1. Safe and clean environment. 2. Run by professionally trained Early Childhood educator trained in child psychology. 3. Top standard, rounded child education. 5. Colorful and development based settings for toddlers with play areas. - Saturday's free for all registered children. - Register 3 Children and get One (1) Day Free. - Register 5 Children and get One (1) Week Free. - Register 10 Children and get Two (2) Weeks Free. - Register 15 Children and get Three (3) Weeks Free. - Register 20 Children and get One (1) Month Free. - Pre School Registration $3500. 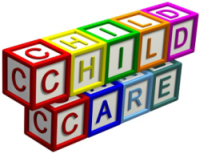 For Your Child's Care and Your Peace of Mind ! !